Dr. Garcia is a graduate of Loyola High School of Los Angeles and UCLA. He completed dental school at the University of California, San Francisco in 1984. 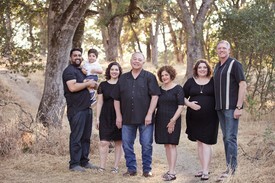 Dr. Garcia has been committed to quality dental care in the Yuba - Sutter area since 1995.In his free time, he enjoys spending time with his wife Cecilia, his daughters, son-in-laws, and two grandsons. Additionally, Dr. Garcia maintains membership in the California Dental Association, Hispanic Dental Association, and American Dental Association.